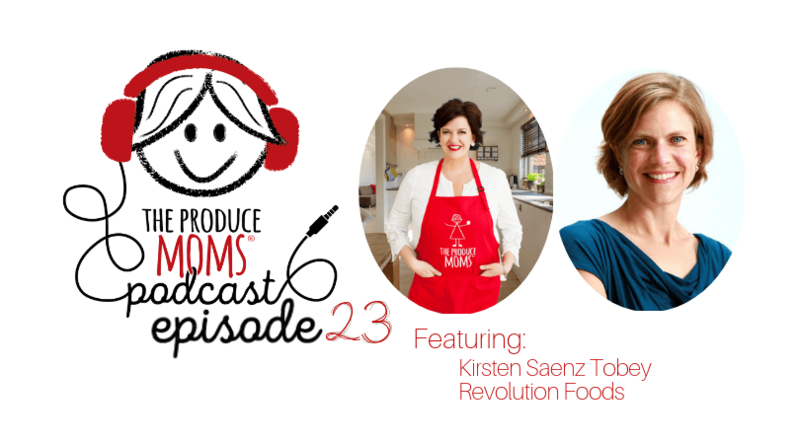 This week on The Produce Moms Podcast, Kirsten Saenz Tobey, Co-founder and Chief Impact Officer of Revolution Foods shares about the incredible impact being made in schools around the nation. Revolution Foods provides 3 million meals a week to over 3000 school sites in 16 States. Their mission is to provide fresh, healthy meals that are fully reimbursable through the federal meal reimbursement program. Through Revolution Foods, children who may not have access to healthy meal options are given the opportunity to receive the nutrition they need to help set them up for academic success. One of the unique aspects of Revolution Foods is their attention to crafting culturally relevant foods for the schools in each region. Revolution Foods has a unique approach to how the food is designed. They are kid-inspired and chef-crafted! Revolution Foods is partnering with schools to help implement breakfast programs, and they are working to make school breakfasts convenient as possible for schools and students. Revolution Foods are free of artificial colors, sweeteners, high fructose corn syrup and so many other additives that are found in so much of our food offerings in the current market. For more information about Revolution Foods, check out www.revolutionfoods.com. If you are inspired by the work Revolution Foods is doing throughout the nation, speak with your local education administration about bringing them to your children’s school!